KENSINGTON, Pa. -- Police have identified and charged a mother who they say left her four children locked inside the basement of their Kensington home for more than 12 hours as a punishment. 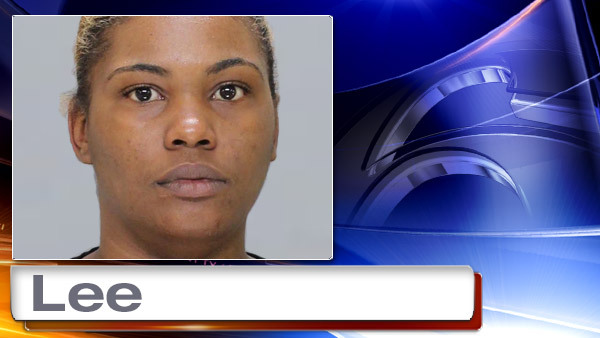 29-year-old Charnae Lee was arrested on Sunday, and is now charged with four counts of Unlawful Restraint, False Imprisonment, Endangering the Welfare of a Child, and Recklessly Endangering another Person. The discovery was made in the 1900 block of East Atlantic Street. "When the kids came out, you could tell they were scared," said Victoria Sipes, neighbor. Investigators say it was around 1:30 p.m. Sunday when they got a desperate 911 call from one of the trapped kids. Firefighters were able to get into the rowhome through a second floor bedroom window and open the front door. Once inside, police got into the basement and pulled out a 13-year-old boy, his 9-year-old brother and his sisters, ages 12 and 10. While in the basement, the children had no access to food or a bathroom. Sipes, a neighbor and friend of the family, saw the children after they were rescued. "It's a shame. I love kids. I have two of my own, and I could never imagine kids being in this situation, regardless. So it breaks my heart," she said. A friend of the 12-year-old says she saw the girl arguing outside with her mom on Saturday afternoon. "I started crying because I was like, 'What type of person does this to their kids?' That's not even a type of punishment that you do," said Aphrodite Sanchez, victim's friend. Many neighbors and friends say Charnae Lee is a good mother. "It doesn't seem like her. It doesn't seem like her style. I know that she's been going through a lot lately, but this is not something it would seem like she would do," said Sipes. Upon her arrest, police say Lee informed investigators that she did tell the kids to get their mattresses, and take them to the basement and stay there for disciplinary reasons. However, she said she did not know the door was locked. Investigators are now working to see if incidents like this have happened before. The children did not appear to be harmed. They were taken to St. Christopher's Hospital for Children to be checked out. The Philadelphia Police Special Victims Unit is handling the investigation.